ASHLAND, Ore. – A former trainee with the Ashland Police Department says he was lost his dream job for calling out unfair wage practices. 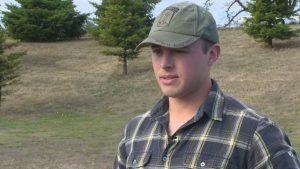 KGW reports Daniel Ensley nearly completed training to become a police officer at the Oregon Public Safety Academy. However, he says he noticed trainees who were working over 40 hours a week without compensation. “It just seemed wrong to me,” he explained. The Oregon Bureau of Labor and Industry started an investigation after Ensley reported the wage practices to state officials. A state audit found numerous violations which were detailed in a letter sent to 185 police agencies in Oregon. Ensley’s training was terminated before he was able to complete it. “I was told I was released from law enforcement with Ashland PD for being a risk,” said Ensley. However, Ensley believes he was fired for blowing the whistle on APD’s wage practices. According to KGW, Chief Tighe O’Meara said his department will comply with whatever guidelines they’re given regarding trainees while they’re at the academy.